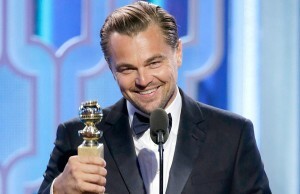 The Hollywood Foreign Press announced the nominations for the 73th Annual Golden Globes on Thursday morning. Todd Haynes’ period piece “Carol” (based on the book “The Price of Salt” by Patricia Highsmith), received the most film nominations, with a total of five. The film will go up against “Mad Max: Fury Road,” “The Revenant,” “Room,” and “Spotlight” for Best Motion Picture Drama. “Carol” also received a nod for Best Original Score and Best Director. Cate Blanchett and Rooney Mara, who star in the film, will go head to head in the Best Performance By an Actress in a Motion Picture, Drama category. But that won’t be the only interesting competition during the award show. Christian Bale and Steve Carell both earned acting nominations in a musical or comedy for their work in “The Big Short.” Although Jennifer Lawrence and Amy Schumer didn’t star in a film together, the two new best friends will face off in the Best Performance By an Actress in a Motion Picture, Musical or Comedy category for their work in “Joy” and “Trainwreck,” respectively. We can’t wait to hear some serious smack talk (Or most likely comedic adoration) between these ladies. On the television front, it seems that streaming services are taking over. Netflix proved to be a force to be reckoned with at the Golden Globes back in 2013 with “House of Cards” and “Orange is the New Black.” This year, Netflix had more nominations than any network with 8, beating HBO by one nod. But Netflix isn’t the only streaming service that appears. In the category for Best Series, Music or Comedy, Netflix’s “OITNB” will go up against Hulu’s “Casual” and Amazon’s “Transparent” and “Mozart in the Jungle.” The only two nominees from a tradition network are both HBO’s, “Silicon Valley” and “Veep.” It looks as though the “Modern Family” sweep from years past is finally over. The Golden Globes will be hosted by Ricky Gervais on January 10 on NBC. Check out the full list of nominations below.